I am back. An unplanned hiatus of a couple of weeks behind me, I return to cyberspace. No apologies nor promises to do better; I just was busy with school stuff and then enjoying the holidays and traveling some. If all goes as planned, this site will be receiving its long-awaited upgrade and visual overhaul within the next week. 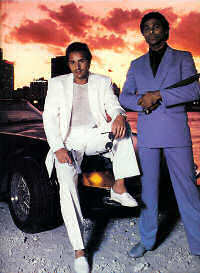 On an impulse--perhaps sparked by spending a week in South Florida--I picked up the first two seasons of Miami Vice on DVD and have been gradually digesting episodes. The show is a guilty pleasure. I saw "Vice" only sporadically when it orginially aired--I just didn't watch much television at all while in college--so most of the episodes are new to me, even if it all feels somewhat familiar. The '80s soundtrack is certainly nostalgic. (There's a terrific web site guide to the music featured on the show: click here to access it.) And the show has an undeniable flair for fashion. While at the movies the other day, I saw a trailer for a forthcoming Miami Vice film, starring Colin Farrell and Jamie Foxx as Crockett and Tubbs. Michael Mann, who produced the television series before becoming a noted film director (Last of the Mohicans, Heat, Collateral) will direct. Spent much of today taking in tennis at the Delray Beach ATP event, nor far from where my parents are spending the winter. 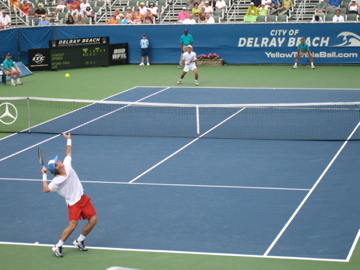 My dad and I saw Vince Spadea (pictured serving, above) and Tommy Haas play and watched Andre Agassi on the practice court. This one is even better than the one I linked to the other day. Click here. I have been delighted to play with Google Earth for Mac OS X the past week or so. 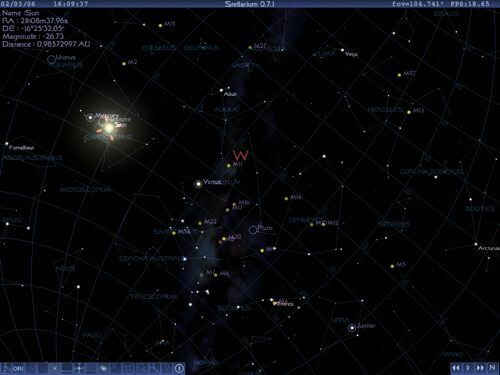 Stellarium is the opposite of Google Earth, in that the view is up and out! Download the application and see for yourself. This foreign TV commercial spoofs John McEnroe's famous rant at 1981 Wimbledon. The film Match Point is pretty enjoyable. I saw it this afternoon in the middle of a rainstorm. It didn't really feel like a Woody Allen movie at all. But it was full of interesting ideas, good acting, terrific production values, humor, dramatic tension, and suspense. I drove down to Fort Lauderdale this morning to check out the exhibition at the city's art museum, "Tutanhkamen and the Golden Age of the Pharoahs." 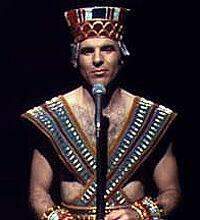 Maybe it was seeing Steve Martin host Saturday Night Live last night, but the whole time I was in the museum, I couldn't get his "King Tut" song (from a late 1970s SNL) out of my head as I meandered around all the antiquities. I was pleasantly surprise to learn I could find the song as a download on iTunes. I rented a car from Enterprise on this visit to Florida. 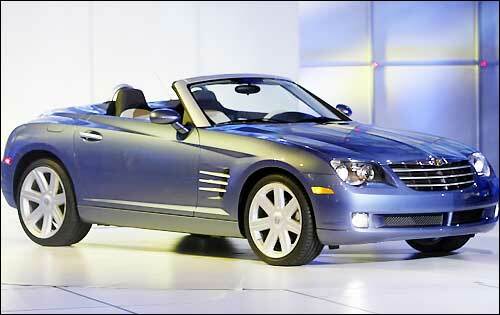 The clerk offered me a free upgrade to a two-seater convertible. Unfortunately, the weather has been alternately overcast, rainy, or cool since I arrived. It has been fun to lower the top, though, and two different women commented on the vehicle Friday and today while I was driving it. It would be totally impractical for me to own a car like this, but it's been fun to tool around in for a few days. Off to the airport soon. My first chance to watch The Office on regular television in months (last week I was in the New England squash seeding meeting and was on the road for two months before that) and it turns out to be a repeat. Boo! The flight back to Miami was uneventful (though actor Mickey Rooney was sitting up in first class, but no one else seemed to recognize him). The traffic on I-95 up to Boynton Beach was no picnic, but the Alamo office in Miami had an automatic check-in kiosk where, after scanning your credit card and driver's license, you could basically zip through the usual car rental rigamarole quickly and without a wait. Since I've been an hour ahead of Eastern Standard Time for the past week, I'll keep my watch (and my biological clock) set there so that when Daylight Savings Time kicks in tomorrow night, I'll be there waiting. I never saw the animated movie Cars when it came out last year--I was traveling at the time, as I recall. So my first exposure to James Taylor singing this beautiful Randy Newman song was the Oscars last week. It's called "Our Town." 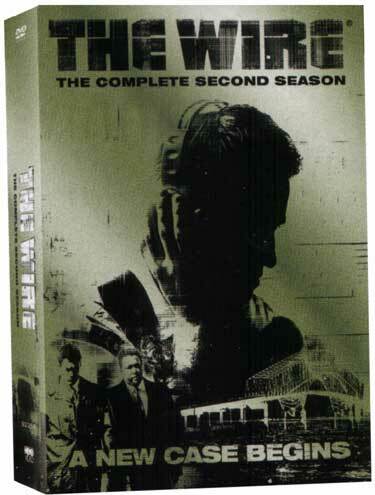 I am getting into the second season of HBO's The Wire on DVD. This is a terrific show, as good as its press. Here's one to commemorate the passing of Boston lead singer Brad Delp: "Rock And Roll Band." Off to the Fort Lauderdale airport this morning for a brief flight over to Tampa to meet members of the Choate tennis team for a week of training at Saddlebrook resort. I left Wallingford at 1 p.m. for my 3:00 Continental flight to Fort Lauderdale via Newark. When I checked in at 2:00, I was informed my flight had been canceled but that if I hurried I could be switched to a Delta flight currently boarding. I had no baggage to check, which was good, but I was selected for extra security screening, which had me sweating it out on my way to the gate. I made it, however, and landed in Florida three hours ahead of schedule, as the Delta flight was direct. I caught a matinee of Coraline in Palm Beach earlier today. I chose this flick because (1) I like Neil Gaiman's work a lot; (2) I enjoy good animation; and (3) I find 3D movies dazzling. The movie was charming, and the stop-motion animation was spectacular. There's a textural quality to the images one doesn't get in CGI. I would think this film could be frightening for young children, though. This long weekend break gives me the chance to get caught up on reading (finished the latest in the Cotton Malone series, The Charlemagne Pursuit, on the plane the other day), television shows (Lost, The Office, Battlestar Galactica) and movies. This afternoon I watched The Wrestler, which is a gritty look at a professional wrestler trying to get his life together twenty years after his heyday. 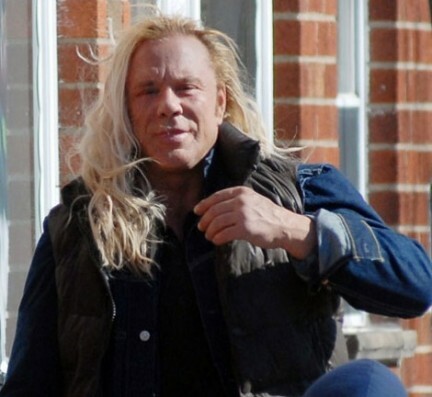 Mickey Rourke delivers a great performance, worthy of the Oscar nomination. Heading off for an 8:00 a.m. flight out of Fort Lauderdale. I was struck this weekend (as I was was frantically searching for my passport) that I haven't flown for six months--first time I can say that in years! 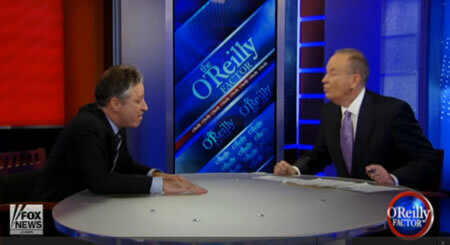 The unedited footage of Jon Stewart's appearance on The O'Reilly Factor is a must-see. Stewart brilliantly dissects Fox News as an organization and scores some good laughs along the way. I just finished this week's installment of Fringe. Very good episode, with a fair dose of mythology included and a great cliffhanger at the end. Unfortunately, no new episodes until spring. Living in an academic community, it's easy for me to imagine how an iPad might be successfully marketed to college and high school students: if Apple or a third-party developer could implement handwriting recognition (presumably using a suitable stylus on the multi-touch screen), a student could take class notes on the same slim device that contains all of her textbooks. She could also access her schedule, e-mail, and Internet sites of interest. No more bulging backpacks! This could easily become the must-have campus accessory before too long. Since I own about a dozen or more Kindle e-books that I can read on an iPhone app, I wonder if Amazon.com and Apple will allow me to read these on a Kindle app for the iPad? I hope so, but it would constitute an end-run around Apple's iBookstore and also encourage Amazon customers from purchasing the dedicated Kindle hardware. It will be interesting watching this unfold. Yes a camera--or even two, one facing each way--would be nice, but surely this will be a feature of iPad 2.0 once it can be implemented without making the device too expensive. Too bad the iPad won't be able to play Flash, but I predict the Adobe vs. Apple conflict will result in web developers moving away from Flash-based programming in favor of more open standards. I can't imagine them writing off iPhone, iPod Touch, and iPad users by using Flash on any new web pages under development when there are alternatives available. 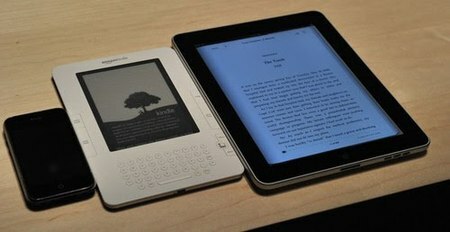 The question for me is not whether to get the iPad but how soon to get it. Perhaps I will do what I did with the iPhone: get the first and third generations. Meanwhile, Back Home . . . 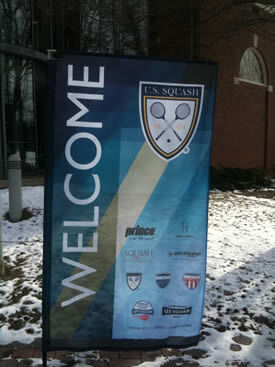 The Johnson Athletic Center is hosting squash matches as part of the U.S. National High School Team Championships. Choate co-hosts this event every year with Yale University. In addition to running our own junior tournament in mid-February, the school will also host men's and women's intercollegiate national championships this month as well. Congrats to the city of New Orleans! 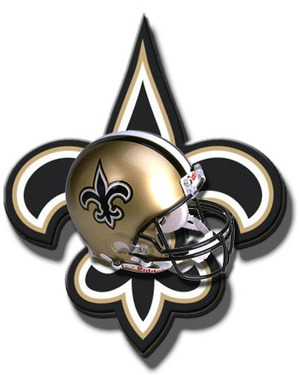 In light of the Katrina disaster, it was hard not to root for this team. This page contains an archive of all entries posted to As Far As You Know in the Boynton Beach, FL category. They are listed from oldest to newest. Boston is the previous category. Brisbane is the next category.